Our immune system is complicated, interesting and an amazing, which helps keep us healthy and strong, protecting our body from environmental stressors. However, no matter what we do, our immune system gets frequently tested. Our ability to interact with the world around us and continue to remain healthy is dependent to a large extent on the healthy functioning of our immune system. Our immune system is responsible for fighting foreign invaders to our body, like pathogenic bacteria and viruses, and also for destroying cells when they become cancerous within our body. Our immune system is developed to be able to kill cells, such as bacteria or viruses; it can act against cancer cells as it can detect these cells or any other unhealthy cells within the body. This is a defensive device which requires to be kept fully functioning to protect ourselves at all ages. 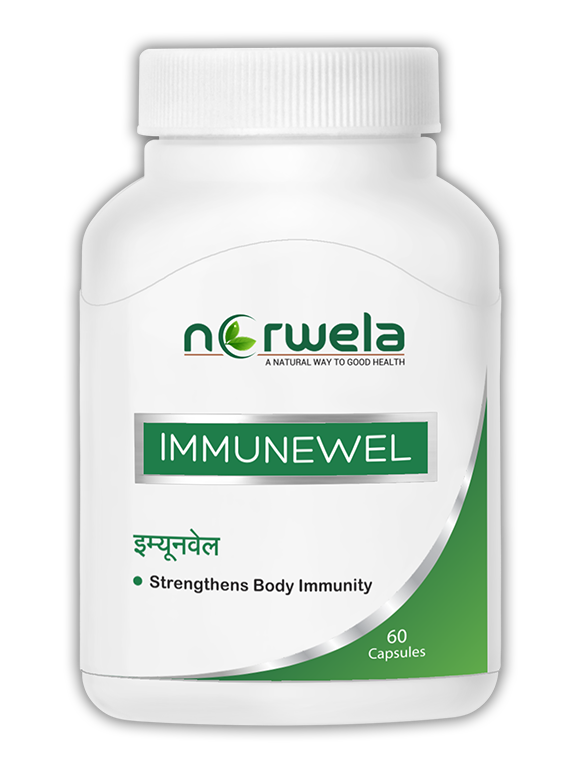 Norwela’s unique formulation ImmuneWel, Herbal preparation, is a powerful immunomodulator prepared from time tested natural herbs in right proportion. The beneficial effects of ImmuneWel as powerful immunity build up is due to presence of multiple ingredients with multiple mode of actions. A right combination of herbs exhibit augmented therapeutic efficacy than any other formulations. ImmuneWel possesses powerful immune-supporting phytonutrients which are ideal in weakness, stress, lethargy, fibromyalgia and general body ache and post-operative or disease recovery. Clinical evaluation indicates that it has no adverse effects and very safe for human use.